A glorious hunk of cheese alongside a glass of wine is always a treat, but if you’ve never paired your fromage with an ice-cold brew, you’re missing out. 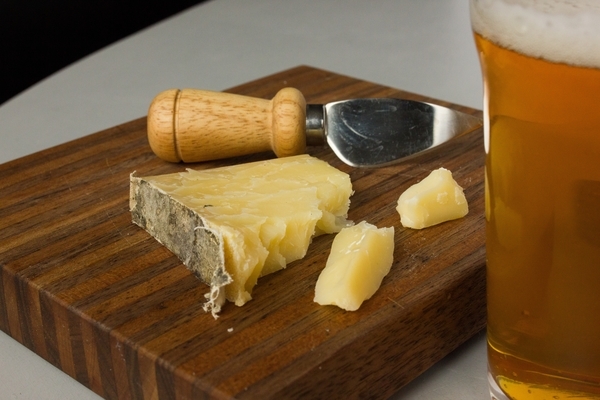 In fact, some say that beer pairs more harmoniously with cheese: While the cheese’s sweet, milky fats coat your mouth, the beer’s carbonation scrubs your palate clean, prepping your taste buds for another nibble. 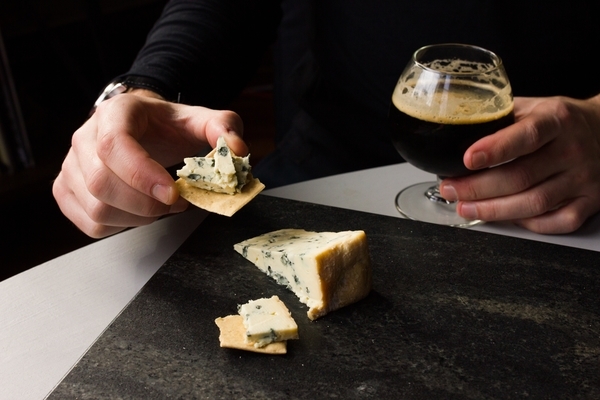 There are no hard and fast rules that govern beer and cheese pairings. As with any pairing, it’s all about striking the right balance. Everybody’s palate is a little different, so it all comes down to what you enjoy. Here are some general guidelines inspired by what’s on tap at Hub 51 to help you become a matchmaking master. Start by choosing one cheese, or one beer, and approach the pairing in terms of intensity. Remember that your goal is to strike a harmonious balance. Beers with a light body and low alcohol, such as Hefeweissen, are usually pretty mellow in flavor. As the beers get darker and heavier, their flavor profiles become bolder. The same goes for cheese: Younger, fresher cheeses like mozzarella are rather mild, while aged cheeses like Parmigiano-Reggiano are robust and rich with flavor. A dark, robust porter will easily overwhelm the delicate notes in a fresh, tangy goat cheese, but a bright Hefeweissen makes a refreshing counterpart. At the same time, you wouldn’t want to lose your ability to taste that soft wheat beer with a punchy blue cheese. Once you have an idea for the degree of flavor intensity, look for either complimentary flavors or stark contrasts. Pretend you are organizing a dinner party: You want to invite people with commonalities, which make for bubbly conversation. Likewise, the sweet toffee notes in aged Gouda attract the brown sugary flavors in malty brown ales. Just like with people, sometimes opposites attract. For example, blue cheeses and stouts create the perfect salty and sweet combination – think chocolate-covered pretzels. We sat down with Hub 51’s resident beer expert and manager, B.J. Hodge, and a big plate of some of our very favorite cheeses to create some stellar pairings. Take a look at our favorite combinations for inspiration. 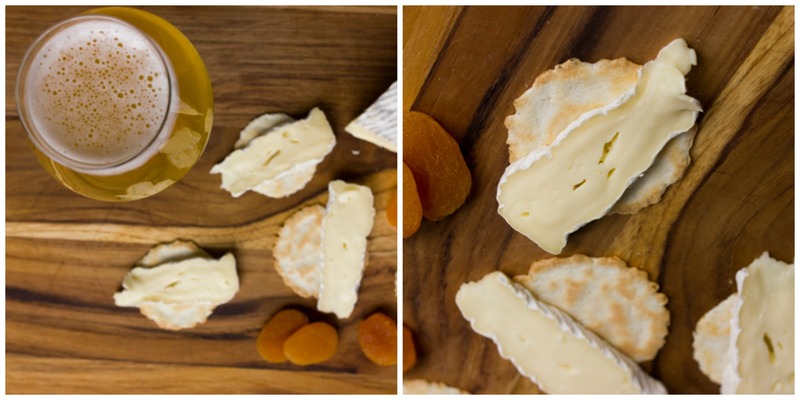 Why this pairing works: The zingy lemon notes and effervescence in the white ale cut right through this dense, creamy brie-style cheese like a knife. Both have notes of yeast and fresh citrus that happily comingle, creating an effect that tastes not unlike a lemon meringue pie. Why this pairing works: The barny flavors in this funky, Wisconsin cheddar mellow the bitter hops in the IPA, enhancing the fruity characteristics. The combination creates a complex, woodsy flavor experience enough to convert those who normally dislike IPAs. Why this pairing works: The sweet notes of this malty amber ale combined with the salty, nutty flavors in aged sheep milk creates a praline pecan effect. Try it with some salted nuts to really enhance the combination. Why this pairing works: Aged alpine-style cheeses like this raw milk beauty from Wisconsin are rich with deep, complex flavors and require something equally indulgent. Yeasty, floral Belgian ales, like this Tripel karmeliet, create a lovely match reminiscent of banana cream pie. Why this pairing works: This creamy French blue has just enough robust character to play off the toasty and sweet malts in this milk stout creating a salty-sweet combination perfect for dessert. Finish your plate with a few buttery crackers for good measure. Stop into Hub 51 and give their craft brews a try to see what you like. You can find these cheeses and many others at most gourmet grocery stores like Whole Foods, Mariano’s and Eataly. 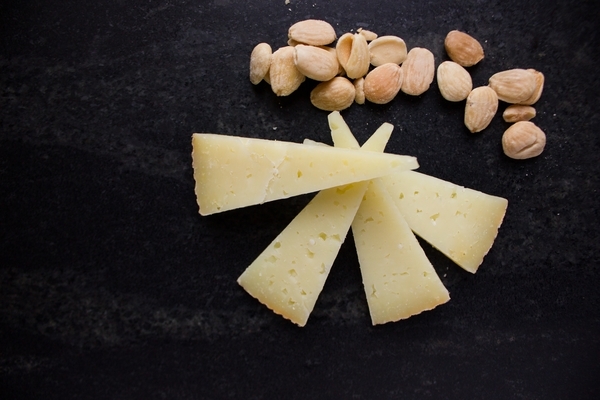 If you need help finding a cheese, ask your friendly cheesemonger for suggestions. Finish your platter with a couple of simple accouterments to complete the pairing, like salted nuts, honey, chocolate, and crackers. Remember, there is no right answer when it comes to pairing beer and cheese – just find something you enjoy and have fun with it!